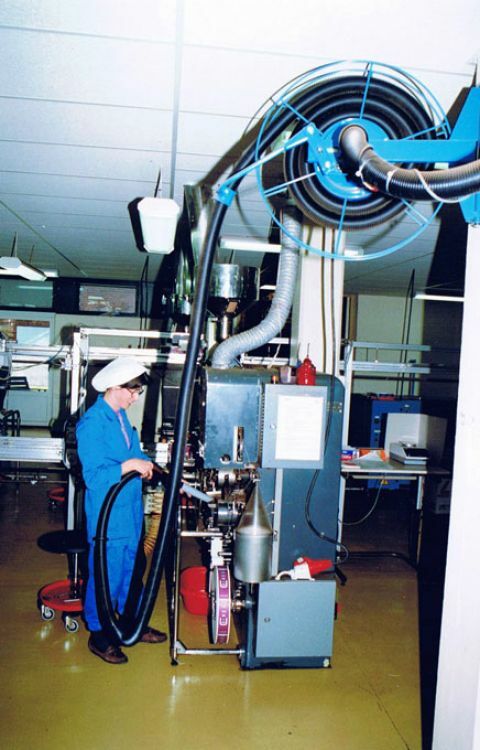 A vacuum hose reel enables easy handling of long vacuum hoses and can be combined with central vacuum systems. 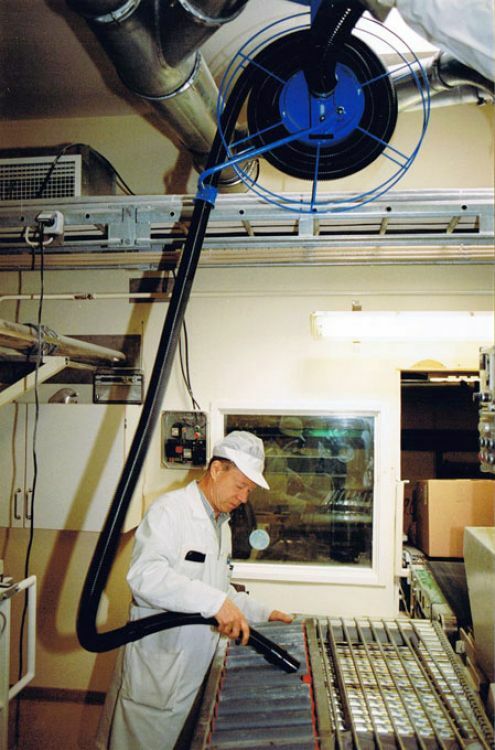 The hose retracts automatically on the drum, which minimizes handling after use and removes the risk of stumbling over ungainly hoses covering the floor. The main component of the reel is the guide arm. When the hose is pulled out, the guide arm turns downwards, automatically opens a damper and activates a micro switch. The micro switch turns off the extraction source and the damper closes automatically when the hose is recoiled. With a reliable stock in Sweden, the delivery time for a maximum of 5 reels is approximately 2-3 days. A handy complement to central vacuum systems, or as an alternative to moving around industrial vacuum cleaners in limited spaces. 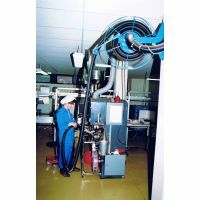 Areas of use include vacuum cleaning, the use of grinding tools, or other tools equipped with an extraction casing. Mount the reel in the ceiling or on the wall and pull out the required hose length. No ungainly hoses on the floor, less risk for stumbling injuries. Easy handling of the hose after use. The hose automatically retracts on the drum. If you wish to expand the range - mount the reel in the ceiling. You will reach more than 80 m2 if the hose is 6 m and the reel is mounted 3 m overhead. The hose locks in desired outdrawn position. The reel simplifies both handling and storing of the hose. One only needs to pull out the hose length which is desired at the the time. No unnecessary hoses on the floor.